Today’s papers feature another series of reactions to yesterday’s news that the second Supreme Court trial against Garzón has been opened. 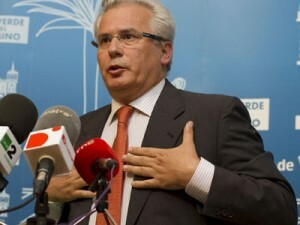 Many commentators, including El País in an editorial, brand as highly suspicious the obvious rush with which the presiding judge, Jorge Barreiro, is proceeding, opening the trial with several appeals pending, and denying Garzón and his counsel the opportunity to present exculpatory evidence. Indignation is also expressed at the language of Barreiro’s writ, which appears to show a clear intention to find the accused guilty. Today’s coverage include a piece in the English edition of El País, a new vodcast by Iñaki Gabilondo, and an op-ed by Carlos Jiménez Villarejo, Spain’s former anti-corruption DA. See also yesterday’s ALBA editorial.